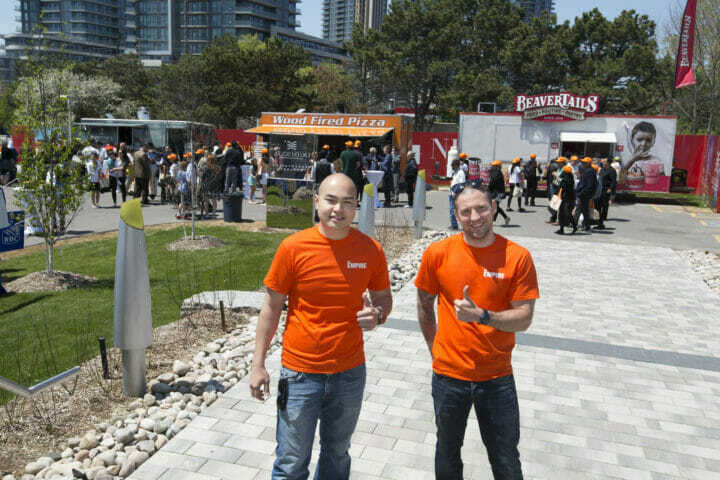 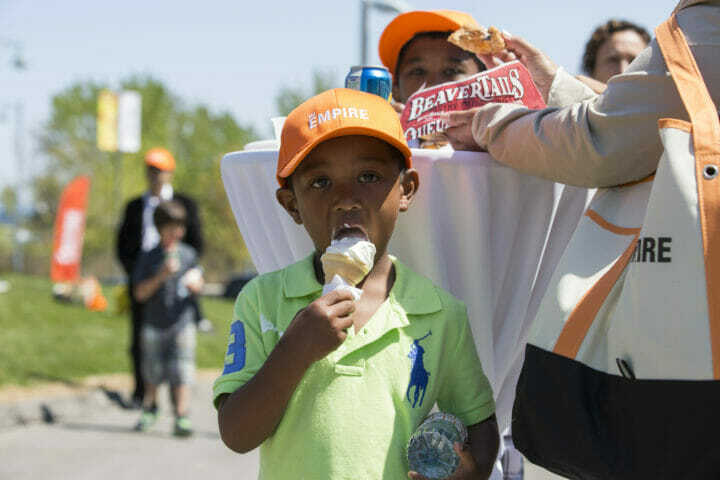 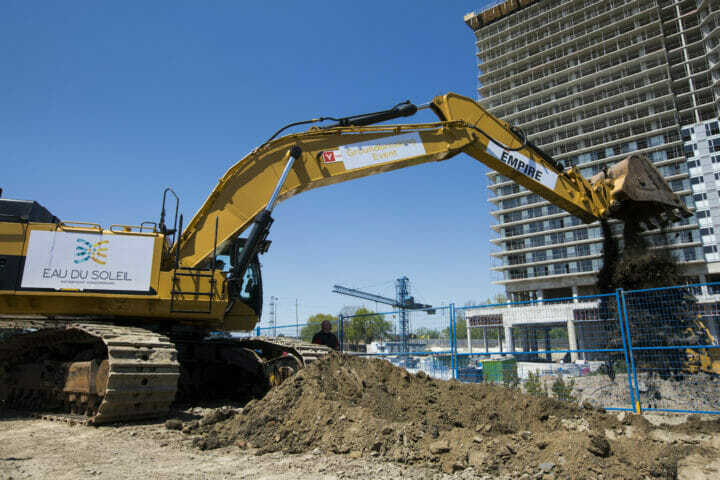 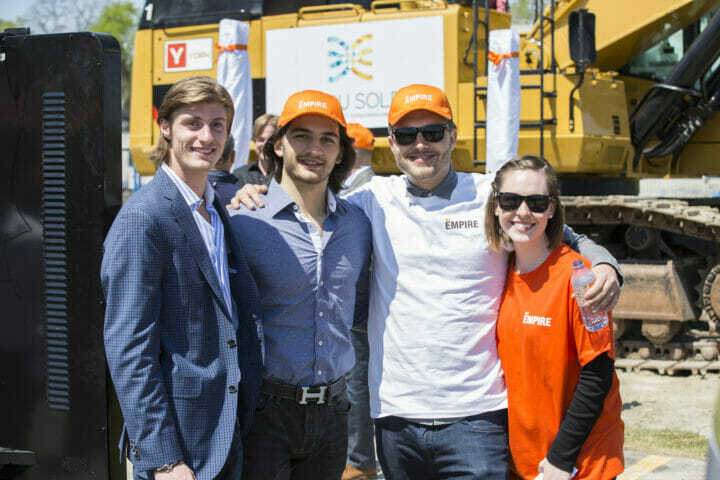 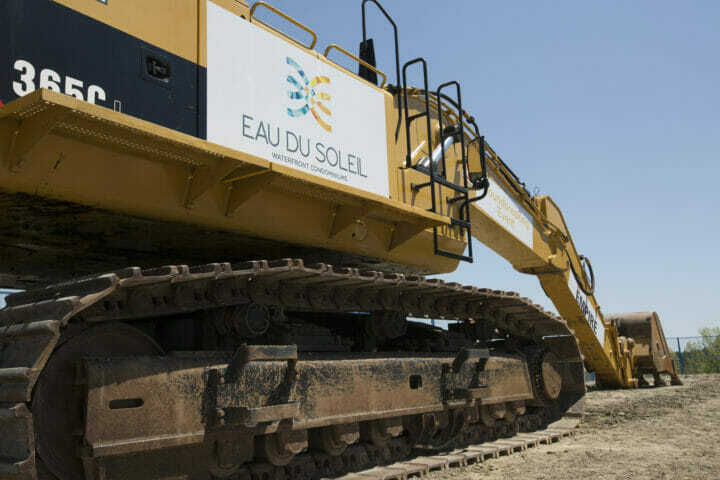 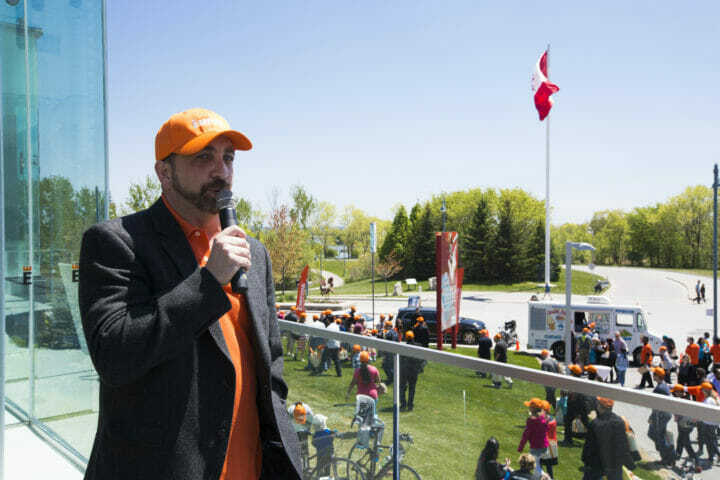 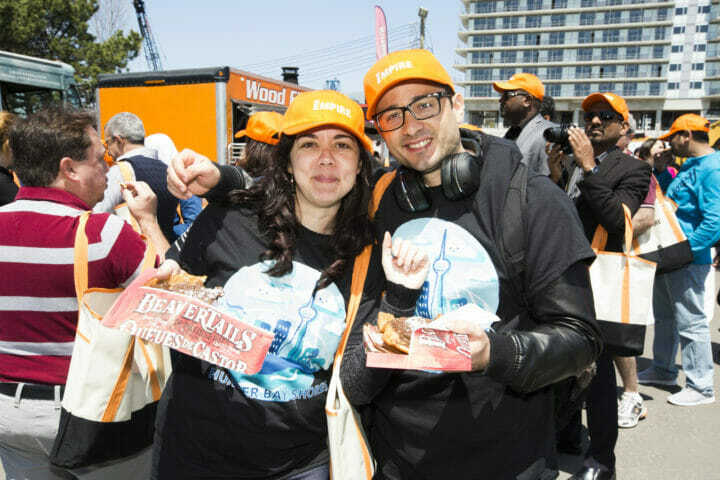 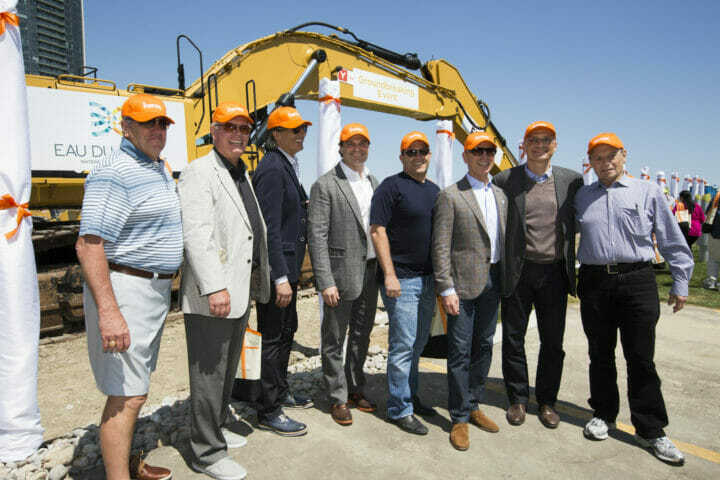 It was a spectacular Saturday morning as the Humber Bay Shores community celebrated the Eau Du Soleil Groundbreaking event on Lakeshore Blvd West. 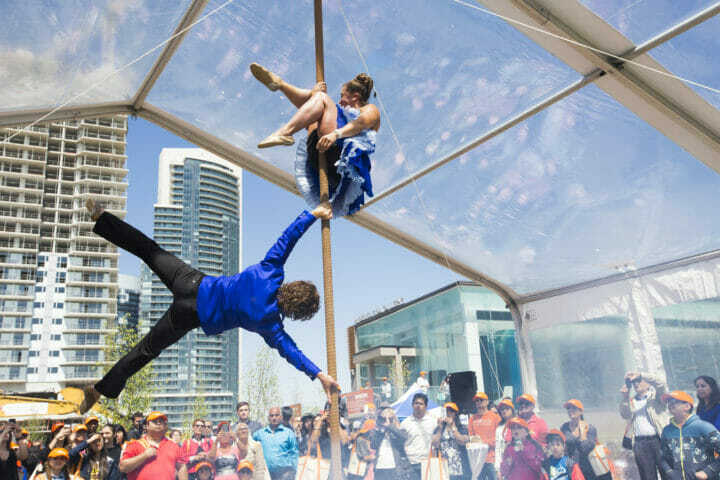 It was as if a mini circus came to town right at the Eau Du Soleil Presentation Gallery! 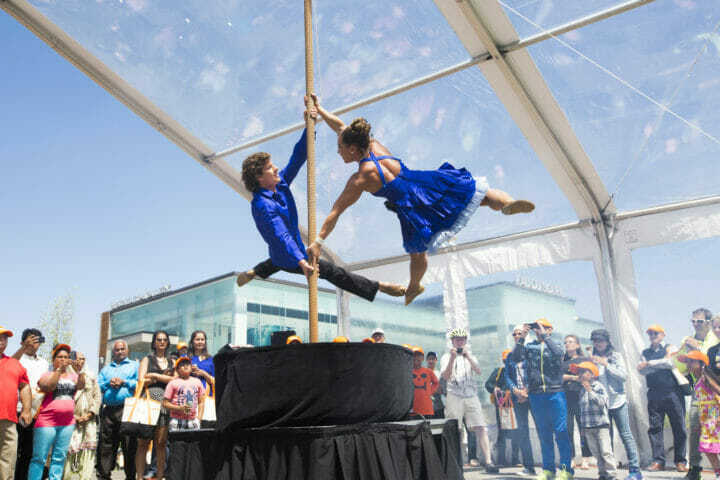 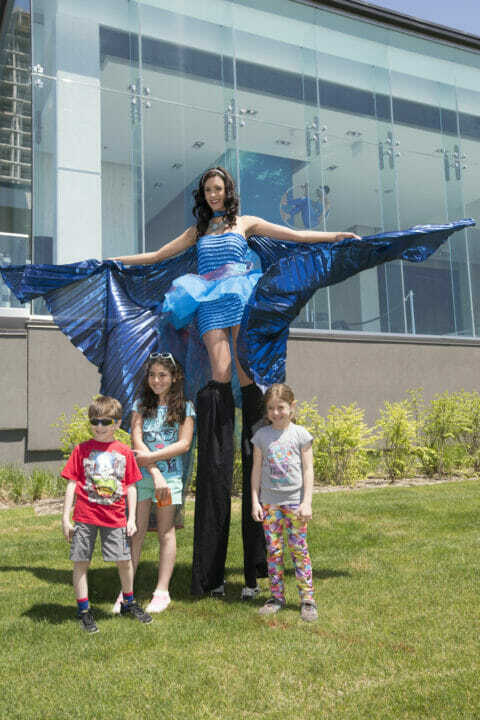 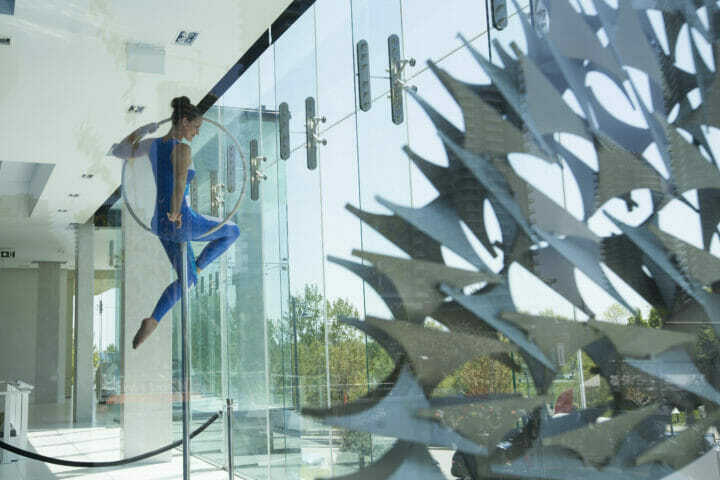 Acrobats were performing in front of the gallery, as a stilt walker danced to the live DJ beats throughout the crowd, while the aroma of acclaimed local food trucks prepared delicious cuisine. 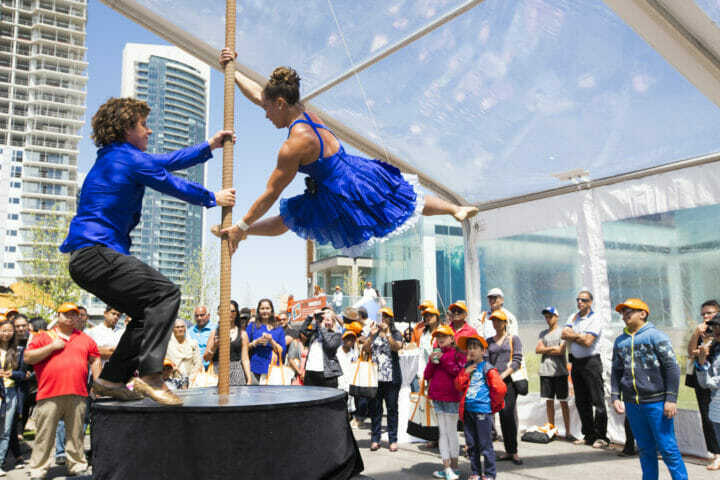 Future residents of this new iconic waterfront condominium as well as visitors of the community came out to celebrate this amazing milestone. 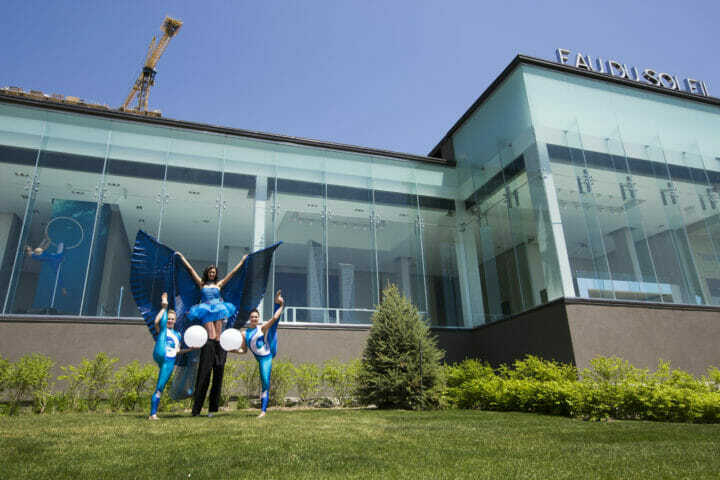 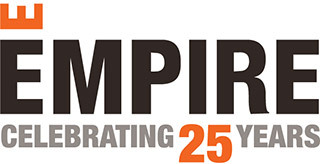 Families and friends enjoyed the Empire Swag, coming together to form the Empire “E” and viewing the awe-inspiring performance by Les Oiseaux Du Paradis! 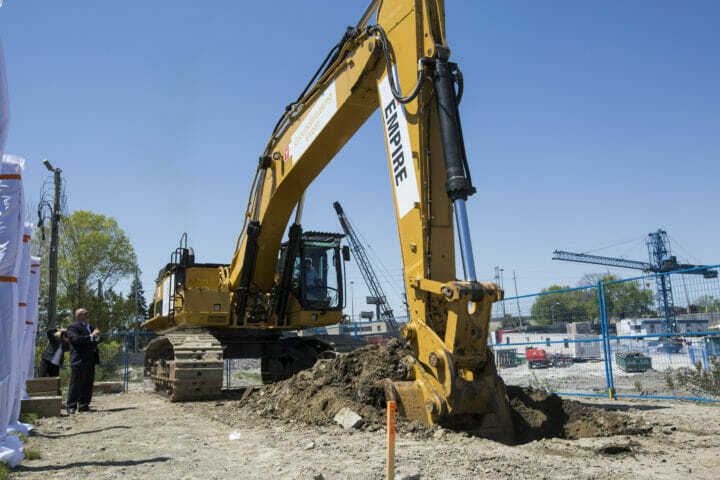 The main attraction, however, was witnessing one of the city’s biggest excavators at 43 feet and65 tons dig the first hole into the ground signifying the start of construction! 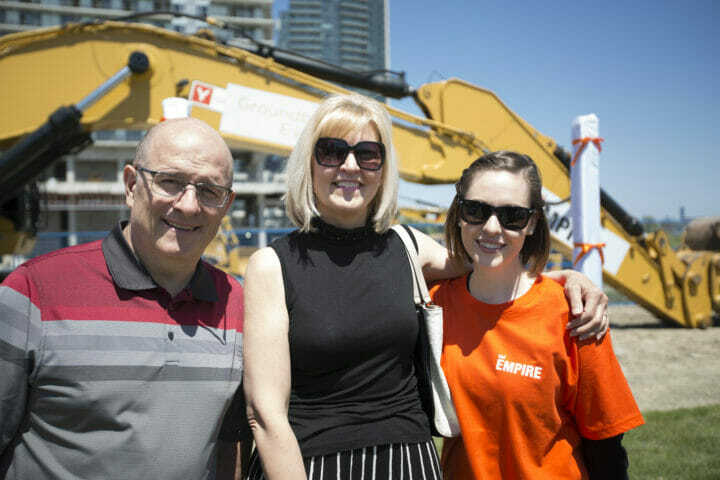 Guests lined up at our Empire Photo Booth to take pictures beside the excavator and participate in our Samsung Tablet giveaway before the afternoon was over. 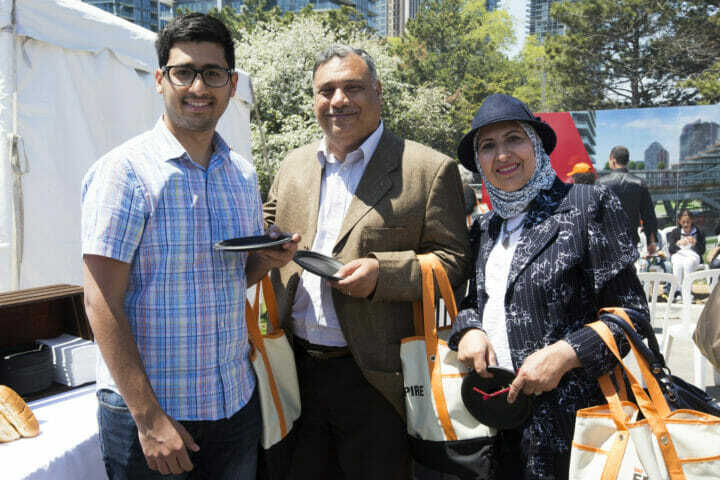 We would like to give a special thanks to Bell for celebrating this milestone event with us as well as sponsoring the Samsung Tablet. 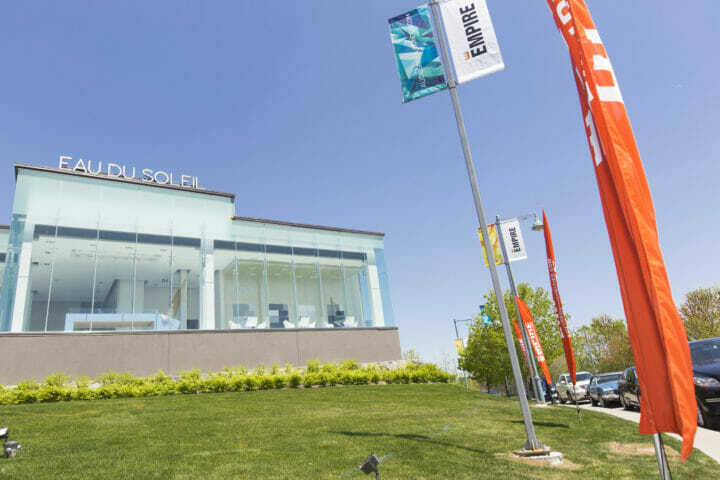 Eau Du Soleil is poised to redefine high rise living in the beautiful waterfront neighbourhood of Etobicoke with endless city and lake views and resort-style amenities. 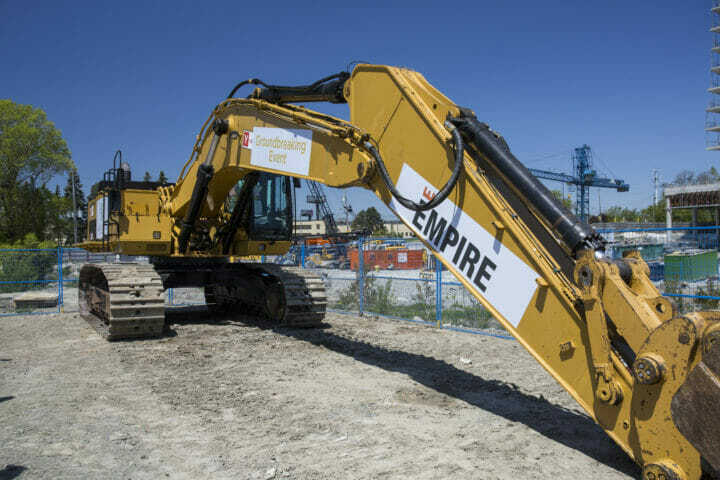 Visit the Presentation Gallery today and take advantage of our Groundbreaking Incentives*, including our Empire Referral Program*.